Beckley, WV is a small town nestled in the Appalachian Mountains of southern West Virginia. 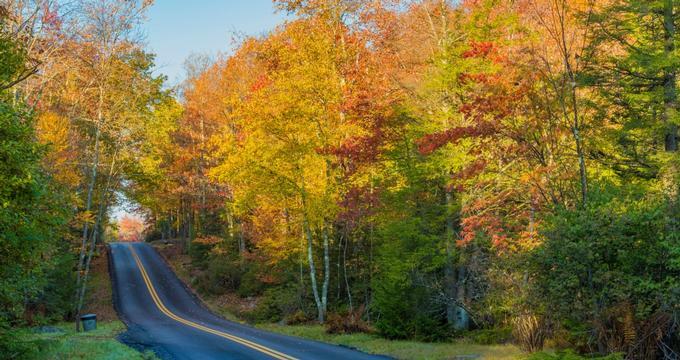 Because of its location, Beckley is rich in natural beauty; sweeping mountain views and cool, rushing mountain streams are all around the area. But visitors to Beckley will find more than just scenery in the area. The following list will guide travelers to the best of Beckley and the surrounding area. 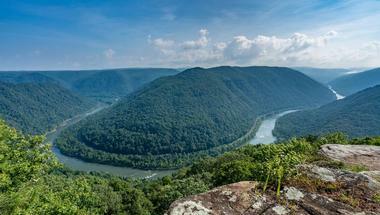 With its sweeping views of the Appalachian Mountains and the New River Gorge, Grandview really lives up to its name. This park spans 52 acres and includes six hiking trails ranging in difficulty from easy to challenging. The trails will take guests through calm woodlands, past mountain streams, and up to the top of beautiful scenic overlooks. Grandview is also famous for its rhododendron bushes, which bloom from mid-May to July. The park contains picnic areas, playgrounds, boating, fishing, camping, and a 1200-seat outdoor amphitheater, and it is open year-round. The visitor center is open June through August. Coal mining has played a vital role in the history and development of West Virginia. That history is on display at the Beckley Exhibition Coal Mine. Guests can tour an actual coal mine, see real mining equipment, and learn about the mining process. 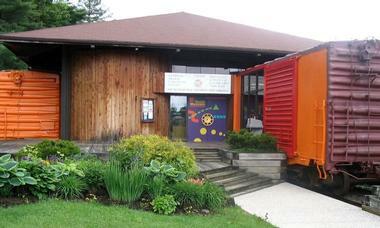 Located next to the coal mine is the Beckley Youth Museum, which features four boxcars each with a different exhibit. Science, art, and history exhibits can all be found here. The youth museum also features a recreated mountain homestead to show visitors what life was like for the earliest residents of Appalachia. With its mountains, forests, and rolling hills, West Virginia is rich in natural beauty, which visitors can experience at Bluestone State Park, located five miles south of Hinton. 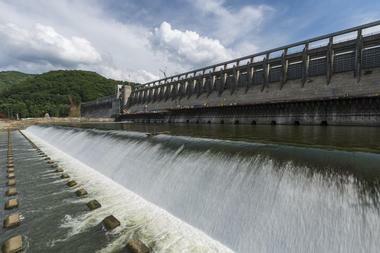 The park covers 2,100 acres of forested mountain terrain and sits next to Bluestone Lake. Bluestone Park contains miles of hiking trails, basketball, volleyball, and shuffleboard courts, an outdoor swimming pool, and a campground that includes 26 cabins for rent. Fishing, boating, and water skiing are available at Bluestone Lake. The lake’s marina is open April through October and offers boat rentals, weather permitting. “Butter It Up” may not sound like the name of a health food restaurant, but healthy food is exactly what diners will find at this café, located inside the LA East Fitness Center. Butter It Up offers meals made with fresh, organic ingredients such as fruits and vegetables, grass-fed meats, and real butter. Meals are prepared daily in advance and are available until they are sold out. Butter It Up also offers organic coffee, served with butter and maple syrup or honey instead of cream and sugar. Butter It Up! is open from 8 a.m. to 4 p.m. Monday through Friday. Calacino’s has been a Beckley institution for over 80 years. The restaurant opened in 1934 and has been providing locals with hot, delicious pizza ever since. Calacino’s cooks their pizza in a high heat stone oven. The result is a delicious hot pie with a thin, crispy crust! 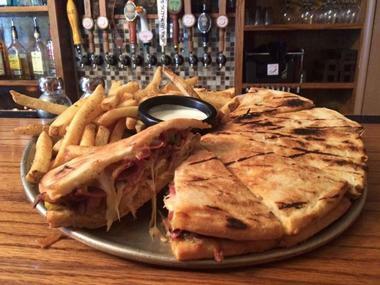 In addition to pizza, Calacino’s offers appetizers, salads, pasta, and special French bread pizzas called “stackers.” Guests can enjoy college sports on the many flat-screen televisions in the restaurant. They even offer live music on occasion. Calacino’s is open daily starting at 11 a.m. Housed in an unassuming brick building in a quiet residential area, Dobra Zupas is the little restaurant that is big on quality and service. Their mission is to bring craft food and craft beer to the local food scene. Dobra Zupas menu, which changes seasonally, offers a variety of salads, sandwiches, and gourmet entrees, all prepared with fresh ingredients. Dobra Zupas also serves their own craft beers brewed in-house, as well as a variety of craft beers from around the country. 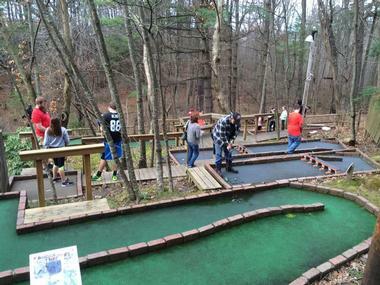 They are open Tuesday through Friday from 11 a.m. to 9 p.m. and Saturdays from 5 p.m. to 9 p.m.
Mountain State Miniature Golf features 18 holes each dedicated to a unique feature of the Mountain State. Holes with mountains, forests, wildlife, a coal mine, and a mountain gorge bridge can be found here. There is even a hole dedicated to West Virginia’s legendary Mothman! Next to the golf course, visitors will find Outside-In, the area’s only indoor climbing range. Skilled climbers and beginners can test their skills on the range’s 35-foot climbing wall. When they’re ready for a treat, visitors can grab a cup of coffee, smoothie, or a shake at the Chocolate Moose Coffee Shop, located next door. The fine arts are on display at Tamarak! Since 1994, Tamarak has existed to showcase the work of West Virginia’s best artists and crafters. Their large art gallery hosts six shows a year and features paintings, photographs, ceramics, and more by area artists. Their large retail space offers art, craft items, glass, handmade soaps, and jewelry for sale. Tamarak also has a theater that hosts live performances every Sunday afternoon. Visitors to Tamarak can also grab a bit to eat at the facility’s food court, which features a deli, bakery, and a full-service restaurant. Citizens who wanted to bring the culture of the area to the public through the performance arts founded Theatre West Virginia in 1955. Today, the outdoor theatre is still producing high-quality live shows, all against the backdrop of the New River Gorge. Shows vary seasonally, but “Hatfields and McCoys” and “Honey in the Rock” are standbys that are preformed often. The theatre also offers acting and theatre classes for local youth in the spring. A complete list of classes and upcoming musicals and shows can be found on the theatre’s website.